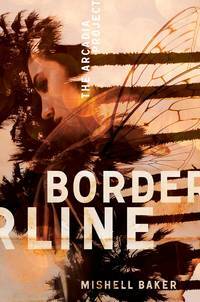 Bid below for a signed hardcover first-edition of BORDERLINE by Mishell Baker. Starting bid: $20. Mishell Baker is the author of the Nebula and World Fantasy Award Finalist Borderline, which was also a Tiptree Honor book, as well as the second and third books in The Arcadia Project, Phantom Pains and Impostor Syndrome. She is a 2009 graduate of the Clarion Science Fiction and Fantasy Writers’ Workshop, and her short stories have appeared in Daily Science Fiction, Beneath Ceaseless Skies, Redstone Science Fiction, and Electric Velocipede. She has a website at MishellBaker.com and frequently Tweets about writing, parenthood, mental health, and assorted geekery at @MishellBaker. When she’s not attending conventions or going on wild research adventures, she lives in Los Angeles with her co-parent and children.